Ambassador Harald Aspelund chaired the meeting for Iceland. The EFTA Council met for its first meeting in 2018 on 6 February under the Icelandic Chairmanship. 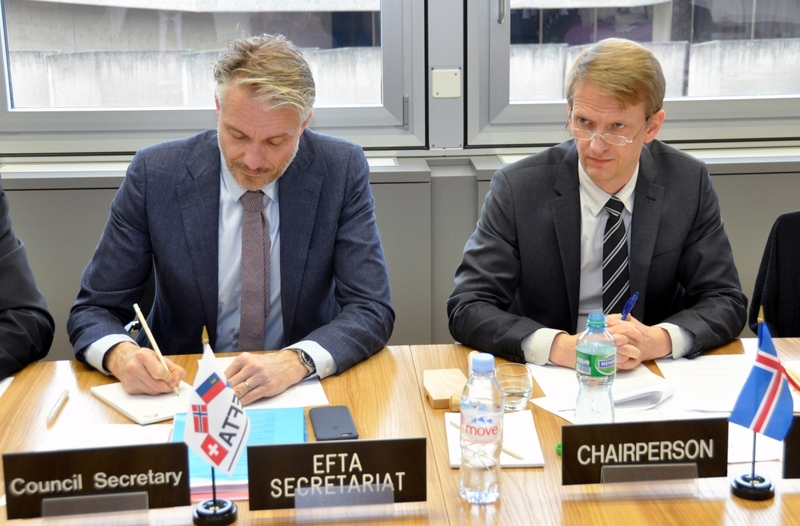 The Council approved a number of technical statistical cooperation activities which are coordinated by the EFTA Statistical Office in Luxembourg in close collaboration with Eurostat. Delegates took stock of ongoing free trade negotiations and developments in relations to Brexit. The Council agreed to the prolongation of the mandate of the Icelandic member of the EFTA Board of Auditors (EBOA).